In order to get a price quote please fill the form in Contacts page or send us an email. Number of steel wire loops for lifting. If delivered by see shipping containers are used. We have experience in loading 20ft OT and 40ft OT (rag top) shipping containers at our premises. If want delivery by 40ft HC standard container - we have arrangement with port terminal and it can be loaded in port. Delivery by truck if destination is within Europe. 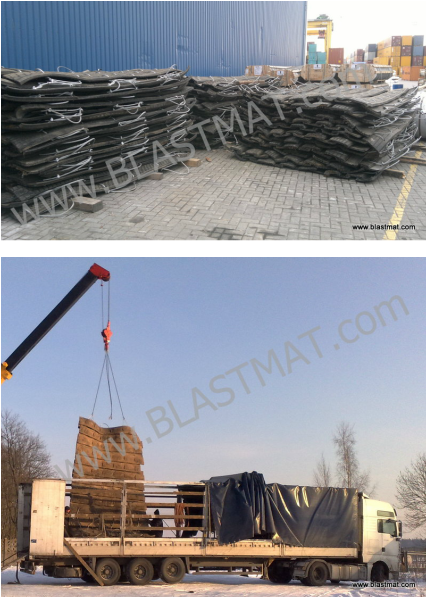 In this case mats are rolled or stacked on each other already at our premises.